Written by David Koepp and Michael Crichton based on Crichton’s novel. 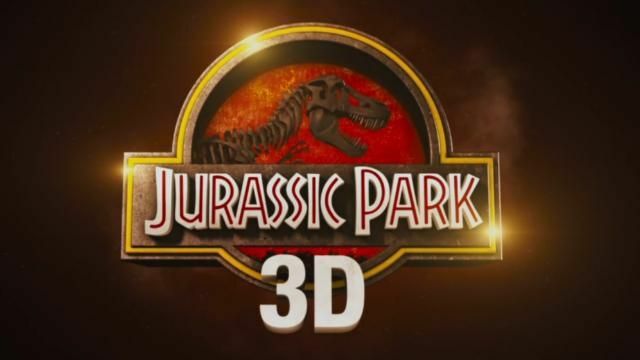 Back in theaters 20 years after its initial release, and yes that statement may make you feel really old, is the landmark summer blockbuster from Steven Spielberg that changed how movie theaters were equipped for sound and racked up major box office dollars, Jurassic Park. Being retro fitted for 3D for this reissue, Jurassic Park still remains the most realistic film to depict dinosaurs on screen but the question is how does the 3D transfer effect the film’s visuals and does it add anything to the experience. 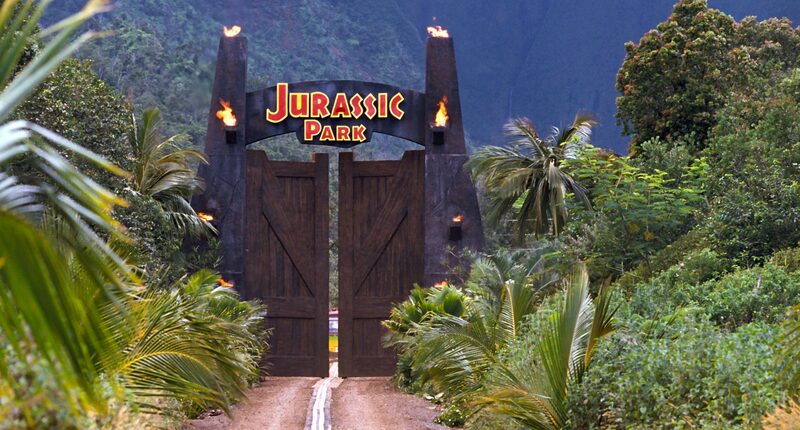 In case you need a refresher, Jurassic Park is the story of paleontologists Dr. Alan Grant (Neil) and Dr. Ellie Sattler (Dern), who along with ‘Chaotician’ Dr. Ian Malcolm (Goldblum), all have been recruited to sign off on philanthropist John Hammond’s (Attenborough) newest biological attraction Jurassic Park. Upon arrival on the small island of the coast of Costa Rica, the trio soon discover that Hammond has actually cloned real dinosaurs and the island is populated with multitudes of the species including the deadly Velociraptors and a mammoth Tyrannosaurus Rex. 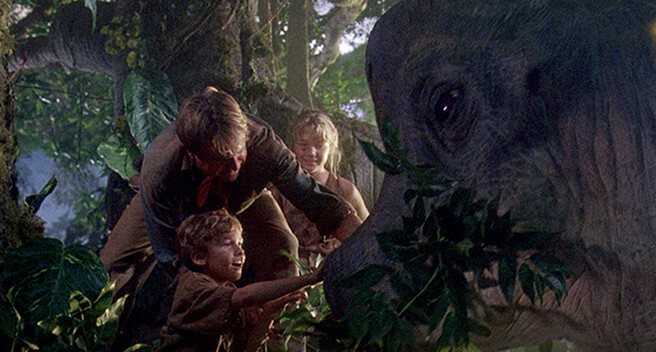 During a tour of the park with Hammond’s grandkids in tow (Richards and Mazello) everything goes array and Grant and the kids are left alone to fend of the legions of dinosaurs as they scramble to cross a decommissioned park with violent threats surrounding them from every corner. Jurassic Park has spawned two sequels, with a third on the way, and was a worldwide phenomenon when it was released back in 1993, a testament to the longevity and popularity of the film. 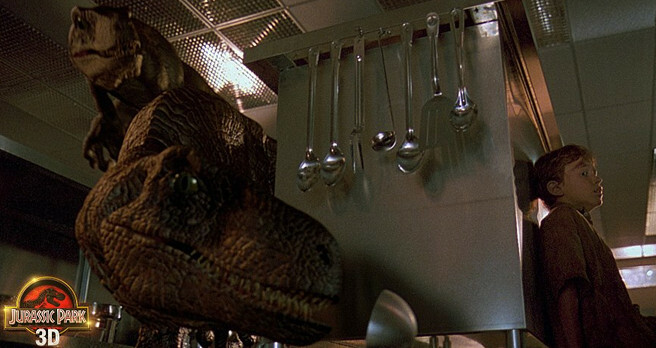 Jurassic Park does manage to hold up remarkably well with much of the effects work still remaining solid and believable and the story just as gripping as ever. The film is permeated with great performances from Neil, Dern, Goldblum, Attenborough, Jackson and Peck as the stakes and tension build throughout the film. Wayne Knight’s snively little villain Nedry still works well, despite the laughably outdated technology, as a computer programmer still using linex and responsible for millions of lines of code that has ulterior motives that lead to the downfall of the park. The big difference with this release, and the reason the film is back in theaters, is the remastering of the film as a 3D entity for its 20th anniversary. The biggest issues with remastering older films in 3D, this year’s reissue of Top Gun suffered similarly, are that they were never properly blocked for 3D when they were initially shot so the effect does not always work well and items shot on actual film as opposed to digitally tend to have less defined lines which can to lead to ghosting effects much easier. Some of the effects work much better here, the banner falling in front of the Rex at the end of the film looks glorious, while others have little or no effect with the 3D, the T. Rex chase while still thrilling is not enhanced by the 3D in any way. And yes there are multiple spots where ghosting effects occur, but I was prepared for that. 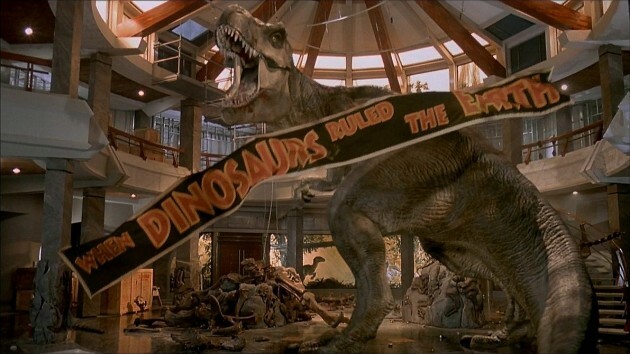 The biggest reason to see Jurassic Park 3D is the pure joy of seeing this classic on the big screen where it belongs. Spielberg invented the DTS digital surround audio platform specifically for the original release of Jurassic Park and the film world was launched into the digital surround world that now dominates most theaters. And the film still sounds amazing because of the work done in this field. Jurassic Park 3D on the big screen is like a welcome visit from an old friend you never knew you missed until you see them again. Jurassic Park 3D is a definite recommend.